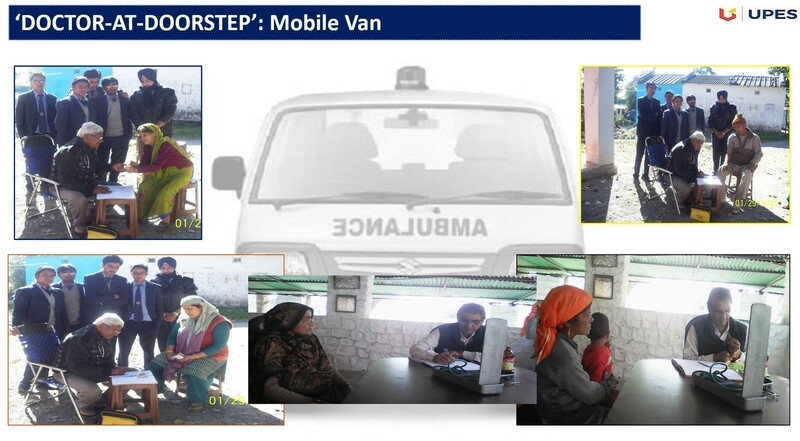 UPES has taken the initiative of providing free medical services to residents of neighboring villages; it operates a mobile medical van, which goes to these villages along with a qualified doctor and compounder. This initiative has helped rural residents get access to free health check-ups and free medicines. It is a doorstep service going to each person's house, which has helped improve the quality of life, particularly of women and children, and has helped more than 1000 patients since inception.